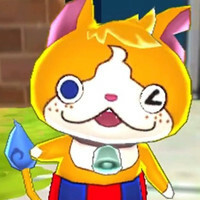 Level-5 CEO Akihiro Hino promises content that will "surprise everyone"
The latest issue of Japanese gaming mag Famitsu has the first info on the next Yo-Kai Watch entry, which is destined for Switch this time around. There currently isn't too much more to go on, but Yo-Kai Watch 4 is due out in Japan sometime this year. Beyond that, Yo-Kai Watch 4 will include a few characters from the anime series such as Touma Tsukinami, Natsume Amano, Keisuke Amano, and Akinori Arihoshi. According to Level-5 CEO Akihiro Hino, the content is getting seriously upgraded, and the results will "surprise everyone."